Every once in awhile, you need to mix things up and venture out from your hometown to explore a nearby destination. Take a break from work or school and embark on a memorable Boston to Maine road trip this season. Instead of booking a flight, grab your friends or significant other and drive up the Atlantic coast, experiencing everything it has to offer. Stop to snap pictures at scenic lighthouses, indulge in local cuisines, and enjoy stunning waterfront views. Pack your bags, fuel up your car, and get ready for the trip of a lifetime. As you look forward to your adventure, feel free to start filling up your Boston to Maine road trip itinerary. If you want to know the absolute best things to do and places to see when you arrive in Maine, we are happy to help. Request your free Vacation Guide to Boothbay Harbor, ME, and see what awaits you here. Discover must-see lighthouses, popular local restaurants, shops, and events. This helpful resource is packed with information to help plan your trip. Get your guide now; you can even reference it while passing the time in the car. 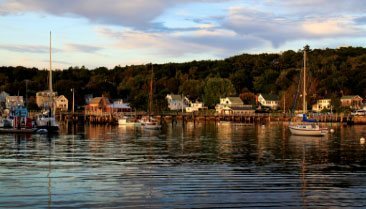 If you’re coming from the Boston area, consider choosing midcoast Maine as the final stop on your road trip. Boothbay Harbor is a scenic waterfront village offering a relaxing escape from the hustle and bustle of the city. 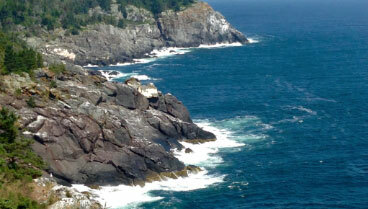 You can take a tour of several lighthouses, taste some of the freshest lobster in the country, and go whale watching. There are even some incredible places to stop along the way. To reach Boothbay Harbor from Boston, you can travel along I-95, I-295, and then Route 1 for a remarkable coastal adventure. From start to finish, you can expect about three hours of driving time over 168 miles. However, we highly recommend stopping to experience some fantastic destinations along the way. Not only will this allow you to split up the drive and help avoid fatigue, but it adds additional opportunities for excitement and sightseeing. If you haven’t been to Boston before, be sure to check out some of the historical sites along the renowned Freedom Trail. Depending on when you visit, you may also be able to catch a Red Sox game or event at Fenway Park. This stadium remains an impressive landmark and attraction since it’s official opening in 1912. About 45 minutes into your journey, stop off in Newburyport, MA. It’s a charming area filled with restaurants and shops to explore. When the weather is nice, you can also head to Plum Island nearby. Here, you can fish, kayak, birdwatch, or relax on the sandy shore of the beach. You can even enjoy a romantic dinner at the top of the Newburyport Lighthouse. From Newburyport, travel about 50 more miles north and rest in Kennebunkport, ME. It’s located on the coast by the mouth of the Kennebunk River. If you ask people that have visited before, they can tell you it’s well worth a visit while passing through. Take a break and let someone else handle the driving for a while by stepping aboard the Intown Trolley for a tour of the area. If you’d like, you can also make a quick stop in Portland on your way to Boothbay Harbor. It’s the largest city in Maine, and offers plenty of activities and attractions. Foodies will be happy to find several excellent eateries in the downtown area. When you arrive in Boothbay Harbor, the true Maine experience begins. Our coastal village is home to a wide variety of attractions and things to do, whether you’re searching for excitement or relaxation. To get a taste of our local culture, plan your trip around some of our festivals, like Windjammer Days and Boothbay Harbor Fest. If you’re not sure where to start and want to leave the planning to us, take a look at our five day Maine itinerary. Topside Inn is a remarkable place to stay in Boothbay Harbor, but you don’t have to take our word for it. Read through some of our reviews and see the type of experience and level of service you can expect here. Our Inn is on top of the highest point in town, McKown Hill. This means you can enjoy stunning views of the harbor in addition to our top-notch accommodations. Consider Room 15 for your relaxing getaway at Topside Inn. This recently remodeled guest room features a bright, modern feel in a coastal environment. 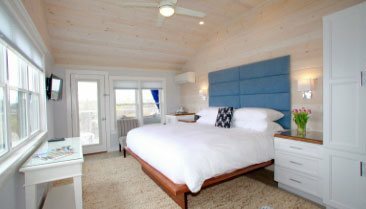 Relax on your luxurious king-size bed and enjoy unmatched views of the harbor and sunsets from your covered sitting porch. 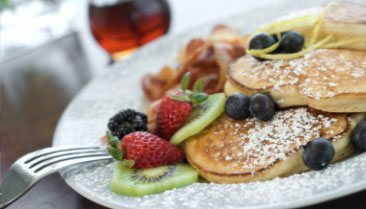 In the mornings, wake up to a gourmet breakfast made from scratch with local ingredients. It’s the ideal place to end up on your coastal Maine road trip. Check our availability and book your stay today.